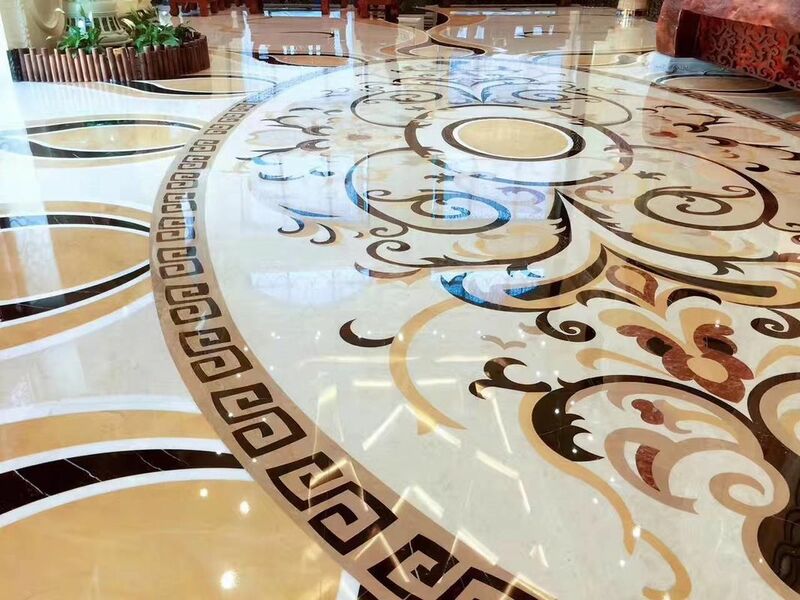 Material Any granite, marble, onyx, travertine, limestone, sandstone and precious stone. 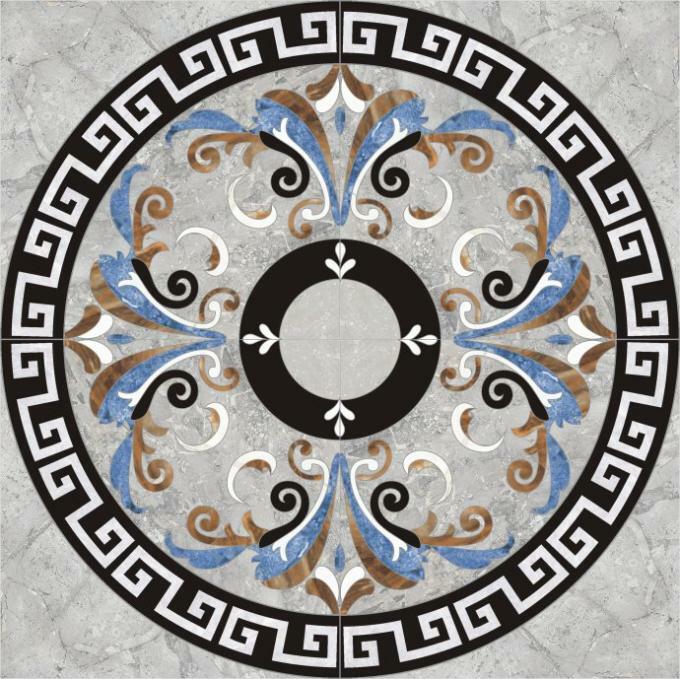 Process Stone medallion cut by water jet from natural colorful stone, fit together and mounted on mesh or tiles by experienced worker, can be various colors, patterns and sizes, suitable for indoor and outdoor space. Packing A>Inner packing: Plastic film and foam. B>Outer packing: Wooden crates. During the whole production process, from material choosing, fabrication to package, our quality assurance people will strictly control each single and every process to ensure quality standards and punctual delivery.